Warner Bros. Release the first Official Trailer & Poster for Oren Peli's Horror-Thriller 'CHERNOBYL DIARIES'! 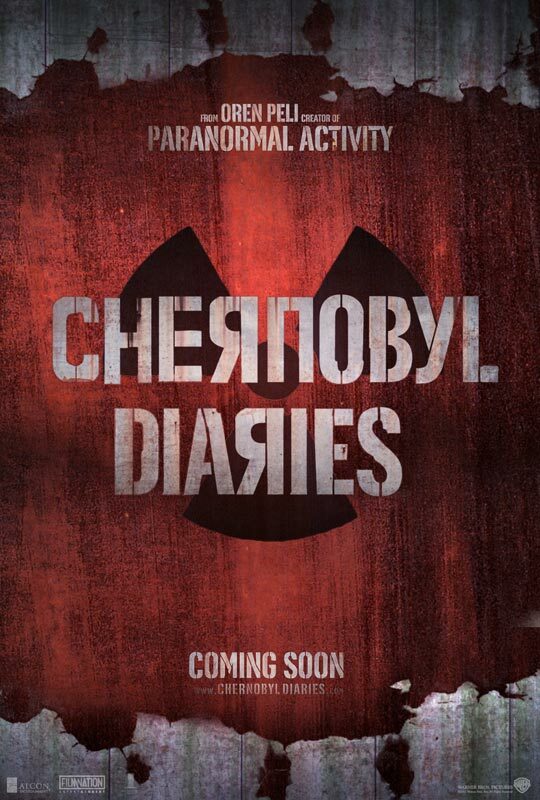 Warner Bros. Pictures has released the first trailer & poster for Oren Peli's [Paranormal Activity] new horror-thriller Chernobyl Diaries which is set in the city of Prypiat, which once housed the workers of the Chernobyl nuclear reactor. The movie follows a group of friends who, while vacationing in Europe, find themselves stranded in the abandoned city only to discover that they are not alone. The movie hits theaters this May 25. Directed by Brad Parker, the movie was scripted by Peli, Carey Van Dyke & Shane Van Dyke. Jonathan Sadowski, Devin Kelley, Jesse McCartney, Olivia Taylor Dudley, Nathan Phillips, Ingrid Bolso Berdal & Dimitri Diatchenko star. Hit the jump for the details. I'm reading: Warner Bros. Release the first Official Trailer & Poster for Oren Peli's Horror-Thriller 'CHERNOBYL DIARIES'!Tweet this!